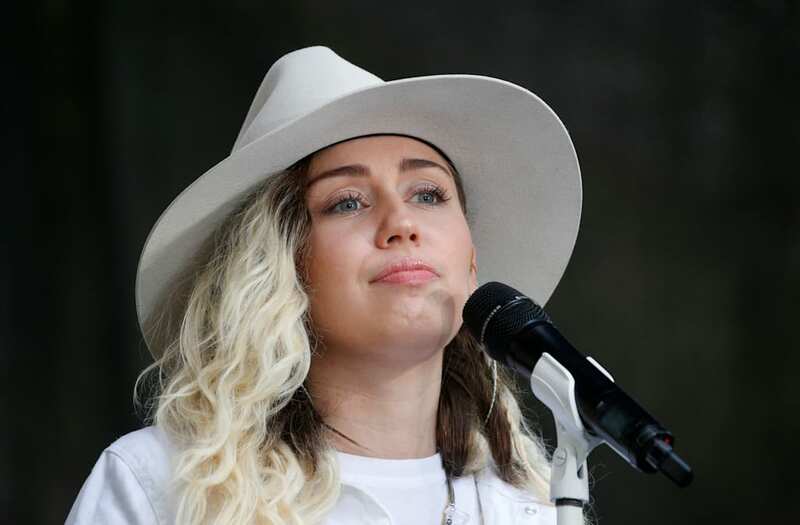 Miley Cyrus is clearly feeling rejuvenated and musically born again as evidenced by the name of her upcoming sixth album, Younger Now. The album, which Cyrus announced on Tuesday (Aug. 8) by posting the title in a ropey script on the back of a bedazzled black leather jacket, is due out on Sept. 29. Not much is known about the album other than it promises to be a dramatic step away from the hip-hop, beat-heavy, psychedelic direction the singer took with such recent collaborators as Mike Will Made-it and the Flaming Lips' Wayne Coyne. First single "Malibu" seems to have set the bar, with a positive, sunshiny attitude and more pop/folk-leaning sound. The twangy follow-up ballad, "Inspired," stays in a similar lane, which makes sense given what Miley, 24, recently told Billboard about her hopes for the project. "I'm ­giving the world a hug and saying, 'Hey, look. We're good — I love you.' And I hope you can say you love me back." The album is the follow-up to 2013's Bangerz, which debuted at No. 1 on the Billboard 200 and was followed in 2015 by the free, wildly experimental collabo with the Flaming lips, Miley Cyrus and her Dead Petz. Cyrus was just added to the performance roster at the 2017 MTV Video Music Awards on Aug. 27. The Voice coach will also appear with the entire Cyrus clan on the upcoming season of Apple Music's Carpool Karaoke series, which launches today.